This 6 Days Kenya Tanzania wildlife Safari to Maasai Mara, Serengeti & Ngorongoro Crater is tailored to take you to Kenya and Tanzania. 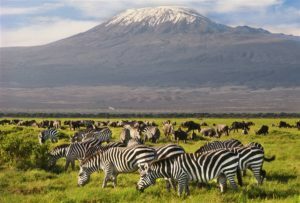 This 6 days Kenya wildlife safari and Tanzania wildlife tour will start in Nairobi Kenya and end in Tanzania at the Kilimanjaro International Airport. This Kenya Tanzania safari features sightseeing of the Great Rift Valley, an unlimited game drive in Maasai Mara, transfer to Tanzania via Isebania to Serengeti National Park for an unlimited game drive, as well as another game drive in the Ngorongoro Crater. Your safari will end at the Kilimanjaro International Airport or at a hotel as you may advise. Your game drives will be done in a safari vehicle depending on the number of people coming for this safari.